The music of Abraham Gomez-Delgado, otherwise made here (and elsewhere) under the name of Zemog El Gallo Bueno has always maintained its life on the knife-edge of the contemporary avant-garde. But the emergence of far right Fascism has pushed it into the more militant realm of social-realism as well. None of this means that Mr Gomez-Delgado has given up entertaining us with his eruptive mix of Afro-Caribbean rhythms that often form an almost mystical bedrock for the surrealism of a faux-classical “opera-buffo” style of music that is unique to him and his group. 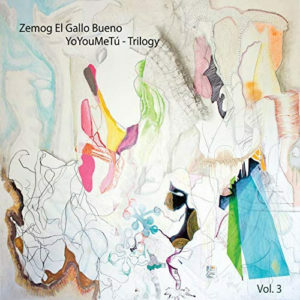 As a result he has “something to say” about just about everything from The State of the Union to – in this case, tongue firmly in cheek – the #MeToo Movement as well, as his quite magical recording YoYouMeTú – Trilogy Vol 3 tells us. Like his earlier Volumes 1 and 2, this third recording explodes with everything from the mariachi flavour heralded by the perfunctory cockerel at dawn and buoyant sui generis readings of Puerto-Rican forms of music. 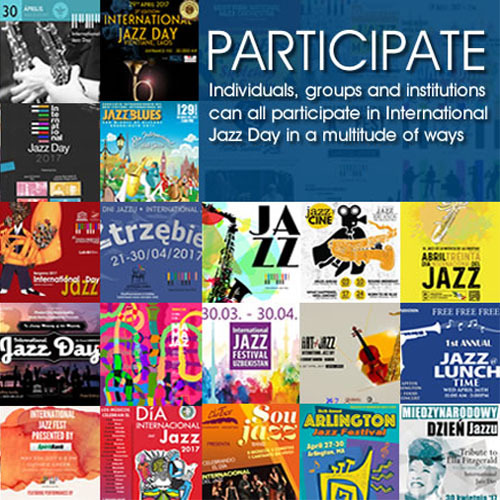 These come in the form of various idioms – from bomba and plena and wholly improvised music – all of which collide and trip along in a manner that even the most adventurous musicians may have somehow missed out in the course of their own excursions. Remarkably there is no gratuitous employment of musical idiom and metaphor. Rather Mr Gomez-Delgado visits these musical forms in a manner so organic that seem to have become part of this very physical self. It’s as if the very cadence of his music is made up of Latino life so much so that it has become part of his speech, which, in turn, is transferred to his music seamlessly. Naturally this is a recording based on the unique rhythmic patterns of music that Mr Gomez-Delgado has been making a part of his repertoire since the earliest days of collaborations with like-minded itinerant musicians such as trumpeter and cornet player, Taylor Ho Bynum. Since setting forth on his own excursions with Zemog El Gallo Bueno seems to have become a group that beholden by a power not unlike the mythical, shape-shifting Celtic warrior. In the case of Mr Gomez-Delgado, however, it is manifest in his almost shamanistic rhythms that are married to hypnotic lyrics, which in the true tradition of a Latino-griot tell heroic stories that seem to reflect the continuum of life. The music of Vol. 3 is a fairly disparate collection of pieces in which the chugging Afro-Caribbean percussive grooves are woven into a melodic and harmonic fabric twisted with maddening rippling improvisation often heralded by wild, fiery horns led by the trumpet of Jackie Coleman and the dolorous bellow of Maria Christina Eisen’s baritone saxophone which flavour these chugging rhythms as they suddenly subside into lyrical effusion. The vocalists are in ravishing voice and the instrumental ensemble provides a winning combination of expressive power and voluptuousness – especially in “Wedding Song”, where Olia Tuporovsky Gomez-Delgado offers a warm and characterful rapport to what is easily the highlight of this unforgettable recording.